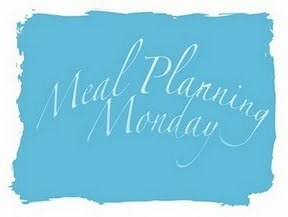 Although its a Bank Holiday and the last one of the summer, meals still need to be cooked and planned! So once again on a Sunday evening I am planning, blogging and Internet shopping, and I love it! This is from the person who once upon a time hated the idea of shopping for food over the Internet. Now I can see how much time it saves! Plus I have a system. Complete my Internet order, choosing a time when I won't be here to put it away and its someone else's problem! It's my birthday on Friday, hoping to go out for dinner, which is why we are one meal short. Lunches will be mainly left overs, but I did have a productive weekend cooking up veggies left in the fridge and came up with six portions of butternut squash and carrot tagine with rice. They are currently in my freezer but will take them into work to reside there. I have no excuse for when I can't be bothered now! 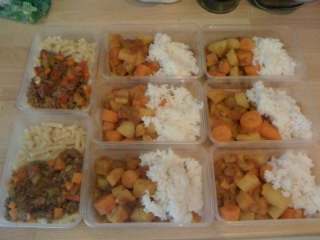 Plus I portioned up two bolognaise and pasta and a couple of left over cannelloni! I won't be going hungry for a while!